Seychelles is a collection of 115 islands spattered across the Indian Ocean and offers the perfect chance to wash away your worries in the turquoise waters and powdery white sand beaches. The best thing to do for a perfect getaway to an exotic island is usually to just do nothing; lie on the beach, soak in the warm sun, enjoy a cocktail and a good book and just relax. But apart from this obvious lazing about in vacation mode, there are certain things you can do in these beautiful tropical islands to make your vacation truly a trip of a lifetime. When visiting an exotic tropical island, discovering the local marine life is a must. The waters are rich in over a 100 species of tropical fish and you can swim with sea turtles, bat fish, butterfly fish, parrot fish, and if you visit in October you can even chance upon a whale shark. One of the best snorkeling opportunities is offered by the Sainte Anne National Marine Park, Baie Ternay Marine Park and Anse Major Beach at Mahe Island, among many other underwater wonderlands. To add more excitement and dimension to your Sychelles experience, be sure to draw up an island hopping itinerary. There are many travel options available to take you to neighboring islands such as plane, boat, or even helicopter rides, but the best way is probably by air which helps to decrease travel time, and also gives you a chance to take in the breathtaking views. 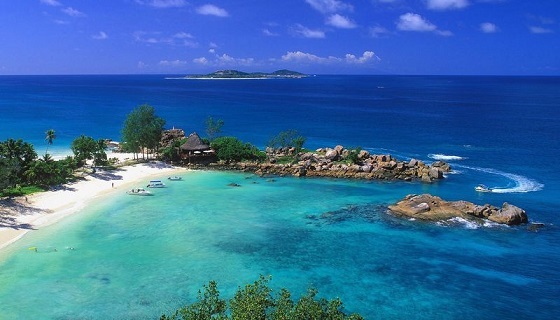 Three islands you absolutely must visit are Mahe, Praslin and La Digue. A vacation is not a vacation without a relaxing massage to help release all kinds of tension from your body, mind and soul. Whether you book a couple’s massage, a spa date with your girlfriends or a solo experience, there is no best way to relax than to be pampered by the best professional therapists with a magic touch. There are resorts that offer these services under the stars and by the sea. The best Spas to try are the Four Seasons and Banyan Tree. A great way to explore all that nature has to offer on these immensely green islands is to pick one of the many trails and go for a hike. You will come in contact with many wildlife species and will be astounded by all it has to offer, and the music of nature and the wild scents are almost meditative, making you forget all your cares. 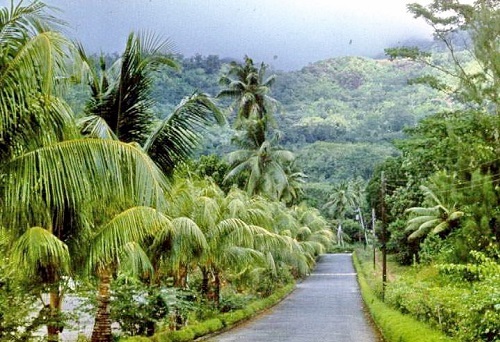 Some of the trails you can choose are Copolia in Mahe, Glacis Noire in Praslin and Morne Blanc in Mahe. Make sure to climb to the peak of Morne Blanc so you can take in the majestic views of the water rolled out in front of you. The Seychelles National Botanical Gardens at Mahe’s capital of Victoria is the perfect way to escape for the nature-lover. 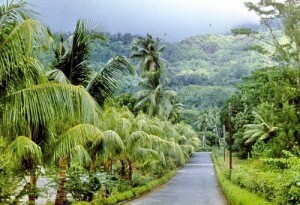 It is one of Seychelles oldest National Monuments dating back more than a century. It is rife with old and widespread exotic plant species spread across 5 acres of landscaped and perfectly maintained tropical gardens. Many of the spice and fruit trees consist of exclusive species found nowhere else in the world. The most popular attraction are the ancient giant turtles some of which are over 150 years old. Whether we come from humid climates or not, with our busy lives of rigid 9-5 routines, we never take out the time to appreciate the simple things in life. Make sure you make your vacation in the tropical islands a true getaway by enjoying your time in the sun, and making sure to watch the sun rise and set as much as you can. The watery horizon will make these experiences even more magical and this is something you can neither recreate, nor forget. Bask in all of what Seychelles has to offer, so that you go home completely relaxed and rejuvenated, without any regrets to make you feel like your vacation was incomplete but at the same time feeling the need to go back and do it all again.